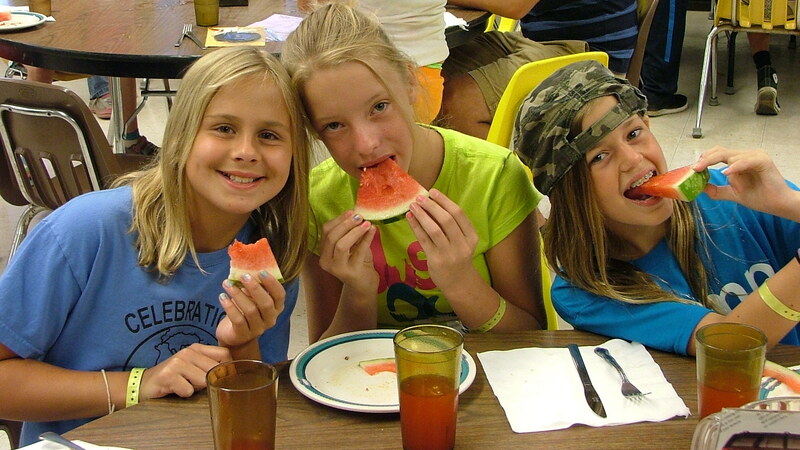 Here at DuBois, we know that delicious, nutritious meals are important to our retreat groups. We serve great family-style meals for groups up to 150. All meals are planned and prepared in accordance with our food policy using one of two basic plans. Review our types of plans below. Please contact the office for price information and to make any food service arrangements. The group takes responsibility for setting tables and cleaning and clearing the tables after the meal is over, with assistance from a DuBois Center staff member. Our staff will cook the meal and serve it from the serving window, but your group is responsible for set up and clean up. The group takes responsibility for setting tables, serving the meal and cleaning and clearing the tables after the meal is over, with assistance from a DuBois staff member. Our staff cook the meal and will help you get started, but your group is responsible for set up and clean up. Many of our groups enjoy snacks and beverages throughout the day. We offer special rates for children. Please contact the office for more details.